This is a Chinese piano concert featuring Oliver Jia & Jiyuan Grace Zhang. It is Saturday, Mach 30, 2019 from 12:30 – 2 pm at the Britton Recital Hall in E.V. Moore Building. FREE concert, so definitely check it out. Also, this piano concert will be very different from what you are used to hearing because the songs all have an East influence, hence the name of the concert. This concert is guaranteed to relieve your stress. 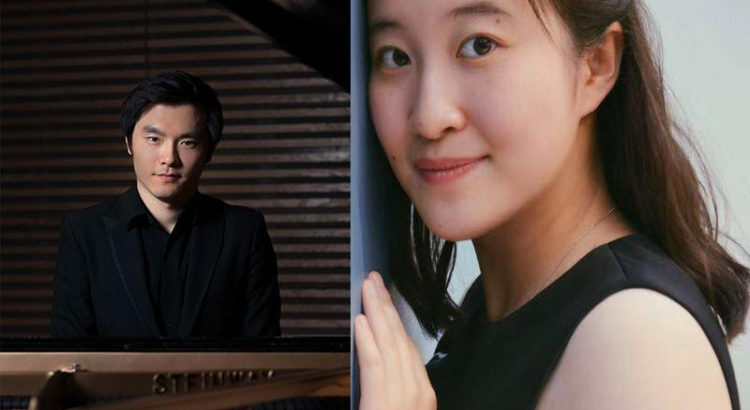 Oliver Jia is a music professor at The University of Texas Rio Grand Valley, with degrees from Yale, Julliard and U of M.
Jiyuan Grace Zhang is a U of M graduate.